Cinema Kabuki Returns to Vancouver! Since its birth in the 1600s, Kabuki Theatre has remained at the cutting edge in the 21st century. Cinema Kabuki brings the colours, textures and sounds of live Kabuki to an international audience, with live productions featuring the greatest Kabuki actors recorded by multiple HD cameras. 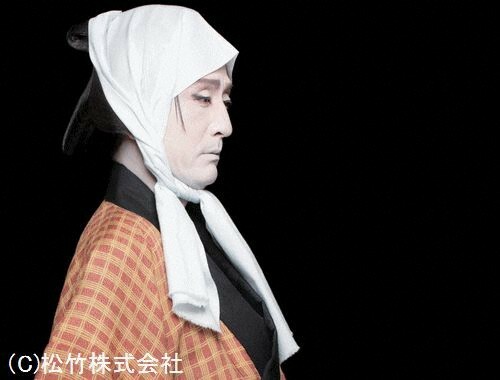 Intended for screening in movie theatres on high-quality digital projectors with 6-channel sound, Cinema Kabuki brilliantly recreates the vivid experience of an art form that is rarely seen outside of Japan. Returning to Vancouver will be the pure dance presentation, Heron Maiden, and premiering will be the gorgeous and macabre Murder in a Hell of Oil, featuring one of the greatest murder scenes in kabuki. Both films are subtitled in English. Tickets are $20 (plus tax) for Murder in a Hell of Oil and $15 (plus tax) for Heron Maiden . Tickets can be purchased online at www.cineplex.com or in person at the theatre. Set in Osaka, the centre of commerce in 18th century Japan, Yohei, played by Nizaemon, a specialist of Kyoto/Osaka style Kabuki, is the prodigal son of an oil merchant who consumes the family fortune pursuing 'pleasures of the night'. In spite of the heartfelt concern of his mother and stepfather, Yohei will not give up. Finally cornered by loan sharks, Yohei begs Okichi, the wife of a fellow oil merchant, for money. Upon her refusal, Yohei turns into a cruel murderer. Blood and oil gush in Kabuki's most spectacular murder scene. 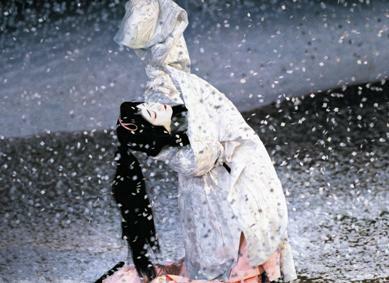 From a white heron to a coquettish girl, to a woman seducing her lover and hellish betrayal, Heron Maiden (the 2005 version) is one of the most challenging dance roles in Kabuki theatre. With 15 musicians on stage, and dramatic on-stage costume changes, Heron Maiden is only performed by a star onnagata. The fluid Tamasaburo seamlessly portrays the heroine with his signature piece. Watch a trailer on YouTube. Read an interview about Cinema Kabuki in "The Bulletin"
CInema Kabuki Returns to Vancouver After Sold Out Run. Cinema Kabuki in Vancouver is presented by The Japan Foundation in association with the Consulate General of Japan and TomoeArts. Go to The Japan Foundation's website for the most up-to-date information: www.jftor.org. Contact us is by email: info(at)tomoearts.org or call: 1.604.607.5978. Or join our facebook group http://www.facebook.com/TomoeArts.